The kitchen is often called the heart of the home, and for good reason. Meals are prepared here, families gather here to discuss their days, and parties and gatherings are organized here, building community connections. It is important, then, to keep kitchens fresh, clean, and inviting. One way to refresh a kitchen that has become dated or damaged is to opt for resurfacing. Kitchen cabinet reglazing and cabinet painting in Coral Springs allows homeowners to brighten up their kitchen at a fraction of the cost of a total renovation. The time investment is much smaller, and there are far fewer nights without a working kitchen. At Artistic Refinishing, we have the skills and experience to create virtually any finish or design, so that your kitchen will look exactly like your dreams. Artistic Refinishing has many years of experience in South Florida communities, resurfacing kitchens and bathrooms to create fresh and economical rooms that make their homeowners proud. We have learned and practiced many different techniques, allowing for a variety of applications. Any homeowner knows that renovating a kitchen is a time-consuming project. Many different contractors are involved, so the project often takes several weeks. During that time, the kitchen is often completely out of commission. The project is often expensive, especially if appliances are also being replaced. 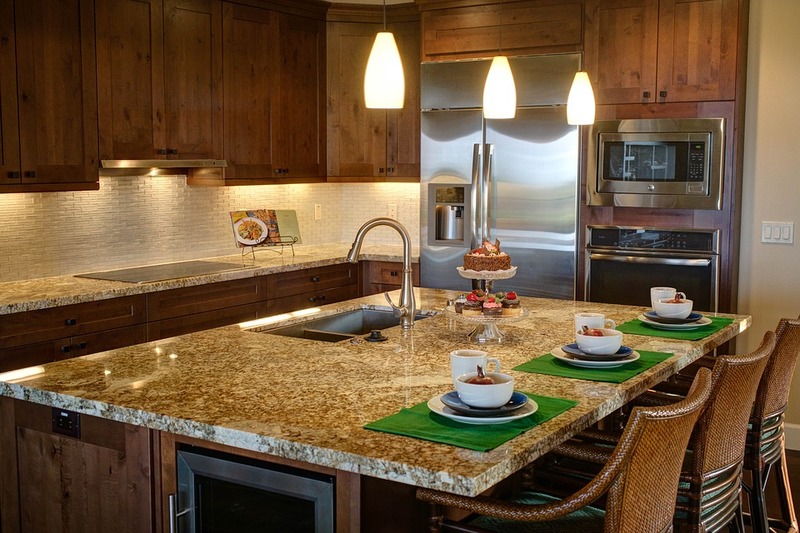 With kitchen cabinet reglazing and cabinet painting, Coral Springs homeowners get to keep their countertops and appliances in place, and simply bring everything up to date. 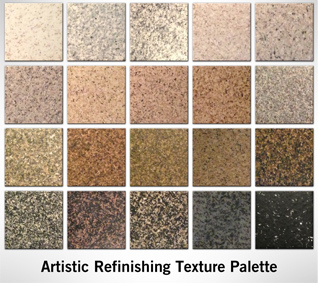 The finishes we use at Artistic Refinishing are nonporous and durable, meaning that they will stand up to the everyday wear and tear of a kitchen, giving you beauty that lasts for years and years. Coral Springs shares the subtropical climate common throughout South Florida, which means that if a home hasn’t been properly climate controlled, or has been unoccupied for a length of time, problems can take hold and staining can be almost impossible to remove. Resurfacing the kitchen can restore surfaces to their original beauty without a huge investment. When you’re ready to invest in revitalizing your kitchen without needing to gut the entire room and start again, consider kitchen cabinet reglazing. In Coral Springs, there is no company more experienced than Artistic Refinishing at applying the techniques and finishes needed to create durable, non-porous surfaces in whatever color and pattern you’d prefer. Repair damage, update your tired design, and bring your kitchen back to the heart of your home. Contact Artistic Refinishing today to get a free cabinet painting or cabinet refinishing quote, and find out how you can bring new life into your house, whether you’ve purchased it recently, or you’re updating the home you’ve lived in for many years. We will help you find the right way to refinish your kitchen, answering all of your questions along the way.